Patty de Llosa is a Contributing Editor of Parabola Magazine and author of "The Practice of Presence: Five Paths for Daily Life" Morninglight Press 2006 (www.practiceofpresence.com). She has led group classes, daylong workshops and weeklong intensives in the Gurdjieff work, T’ai Chi and Taoist meditation and teaches the Alexander Technique both privately and in group classes. Among her recent public venues are Northern Pines Health Resort; the Peruvian Aikido Association; the Lake Conference Center, New York; Columbia University Graduate Theater Program and the Society for Experimental Studies, Toronto. After graduating from Swarthmore College, Ms. de Llosa worked as a reporter for Time Magazine for six years. She married a Peruvian and raised three children in Lima. When her husband became governor of Loreto province, she served as president of The Green Cross, supplying treatment and medicines to the needy in the Amazon jungle, and coordinating with the Peace Corps a summer visit of American doctors and young people to help build roads and schools. Returning to Lima, she founded and ran the first foreign chapter of the United Nations’ pre-school, International Playgroup, for eight years. De Llosa returned to New York in l979, where she worked for six years as managing editor of American Fabrics & Fashions Magazine, moving on to become associate editor of Time Inc. startup Leisure Magazine and then to Fortune Magazine, where she became deputy chief of reporters. She retired in l999 to take the three-year teacher-training program at the American Center for the Alexander Technique, while working halftime as communications director of internet startup e-academy, inc. and writing her first book. 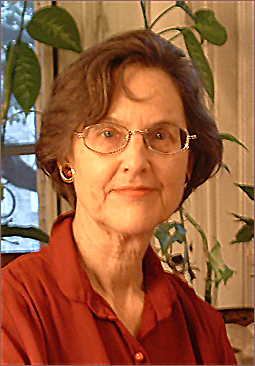 Her recently published articles appear in the Fall 2004 Parabola (“Befriending the Body”), the Winter 2004 issue of the Taijiquan Journal (“Are You a Leader or a Follower?”) and the Spring 2006 Parabola (”Embracing the Irrational”), Winter 2009 (Healing from the Dark Emotions), Summer 2011 (The Neurobiology of WE).